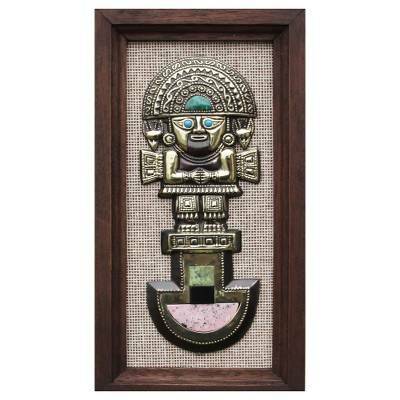 A ceremonial tumi blade features a handle fashioned like a deity. 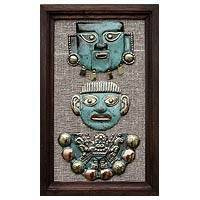 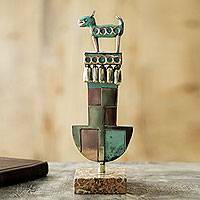 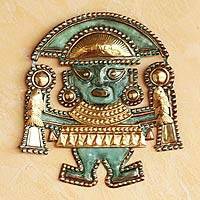 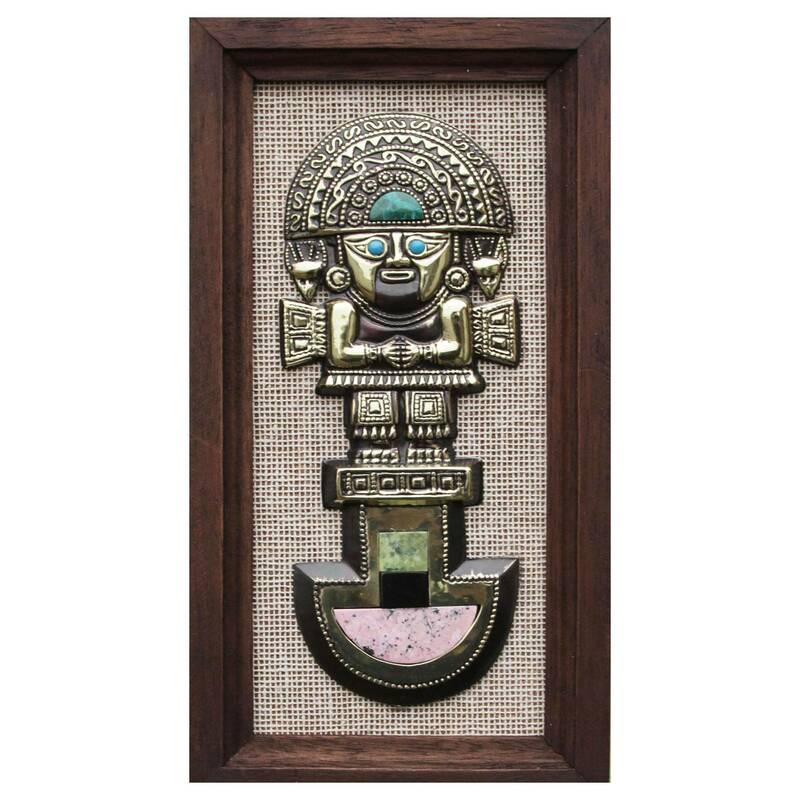 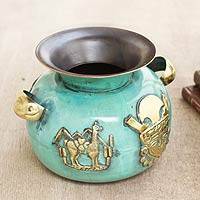 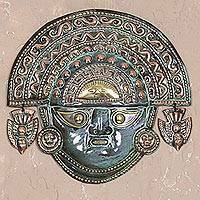 A symbol of Peru, the handcrafted image is framed for wall display. 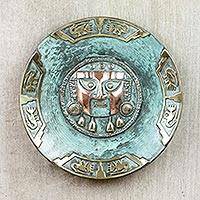 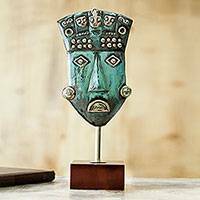 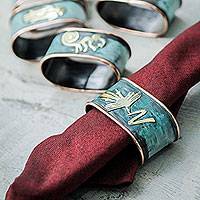 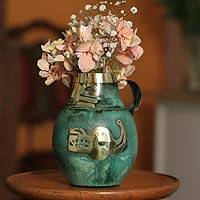 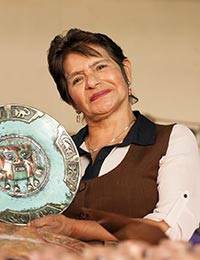 Ana Maria Enciso works in copper and polished bronze, adding inlays of chrysocolla, serpentine, onyx, rhodonite and reconstituted turquoise in a stunning expression of Andean art.